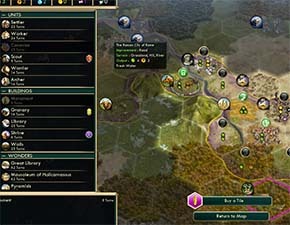 What does "near the city" actually mean in Civilization V? Shortly after publishing this blog, I came across a forum post that contradicts the information presented in this blog post. 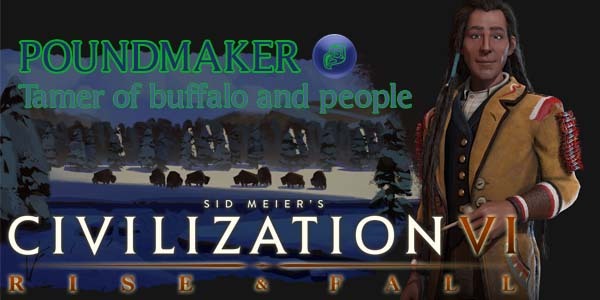 As such, I will review the actual source code in the Civilization V dll, do some more testing with the game, and revise the post as necessary. In the meantime, I'll leave the unaltered post here, for posterity. I apologize for the inconvenience. 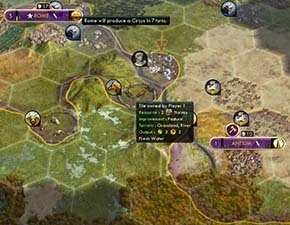 A lot of buildings in Civilization V mention that they are affected by tiles or resources "near the city", but this quality of being "near a city" is poorly-defined within the game. So what exactly does it mean? 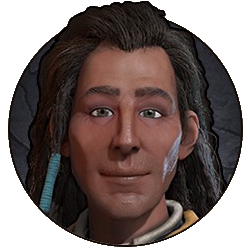 I haven't seen any in-depth articles about this topic on the web or in the game's Civilopedia, so I thought I'd outline the important bits here. Basically, a tile is "near" a city if that city was the first city in its respective empire to claim that tile within its workable radius. Say you have two cities (for example Rome and Antium) whose workable ranges overlap a pastured Horse. Rome was the first city to claim the Horse tile. Rome can, therefore, build a Circus (assuming Trapping has been researched). If you go to the management screen of Antium, you can assign it to work the Horse tile (which prevents Rome from being able to work that tile), but Antium still cannot build a Circus. That is, two cities cannot build a building that requires they both have the same tile. [LEFT] Rome has annexed a tile containing horses and is building a Circus. [RIGHT] Later, that tile overlaps with Antium's workable radius, but it cannot build a Circus because the horse was originally claimed by Rome.